It wasn’t that long ago when many businesses were still skeptical about the long-term effectiveness of social media. However, because social media has absolutely exploded over the last four years, that skepticism is gone. Not only are businesses embracing social media, but many are scrambling to put enough resources towards it. 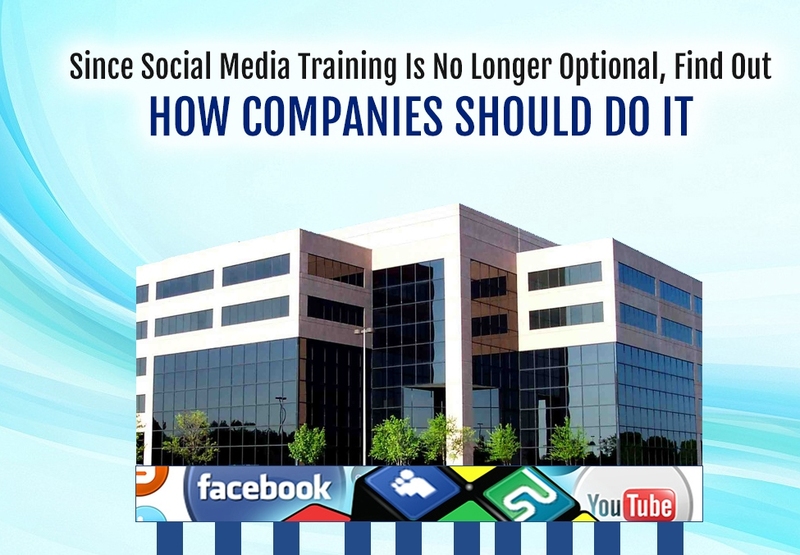 An area of focus for businesses of all sizes is social media training. Since businesses are realizing the benefits of having employees who are all socially savvy, they’re looking for ways to provide effective training. There’s no reason for a business to try and start a social media training program from scratch. Instead, they can save huge amounts of time and resources by utilizing an existing social media marketing program. By partnering with a program provider, businesses can be confident that their employees are getting the best training. Additionally, taking this route means that a business doesn’t have to wait for their employees to start learning. Instead, training can begin immediately, which means the business will begin seeing the benefits of having a socially fluent team in the not too distant future. Once employees complete their social media education, many will be involved with these networks on a daily basis. Since issues will inevitably arise, the best way to avoid hiccups is by having an easy way to reference policies already in place. By taking the time to create this type of documentation, businesses can fully support their employees while also ensuring that everything is handled in a manner that’s consistent with the company’s brand. Employees who have a social media degree and access to a reference guide have everything they need to help drive great results through social media. So while some companies may want to have layers of management and approval, allowing for more freedom and spontaneity will ensure that social marketing efforts aren’t stalled. When it comes to successful social media usage, it’s important to not have a “set it and forget it” mentality. Instead, efforts should be evaluated on a regular basis. One of the big advantages of having all the members of a business involved is the amount of feedback that can be gathered during these reviews. When certain issues are identified based on analytics data, everyone can come together and intelligently brainstorm about how to improve. If a company wants to ensure that they can stay ahead of the competition and thrive online, it’s hard to beat the return that the right investment in social media training can provide. This article is an original contribution by David Pierce.